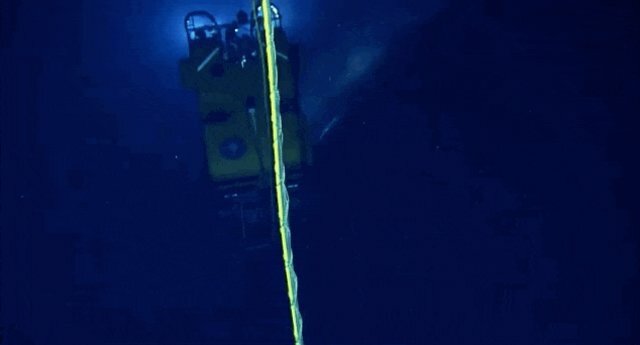 A research team was about 2,000 feet underwater this week when they got the shock of their lives: a curious sperm whale happened by. "He looks fake!" 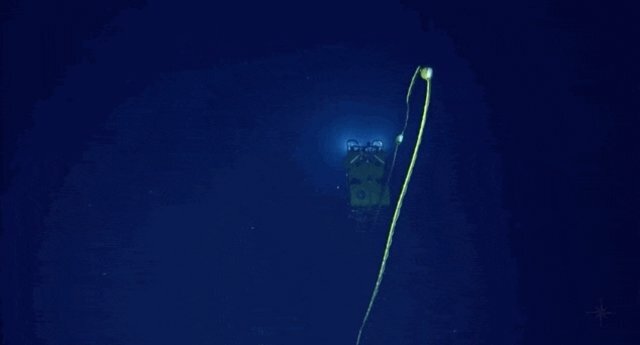 exclaimed a totally enthused researcher aboard the Exploration Vessel Nautilus, a 64-meter research vessel operated by the Ocean Exploration Trust, as it filmed live footage in the Gulf of Mexico. 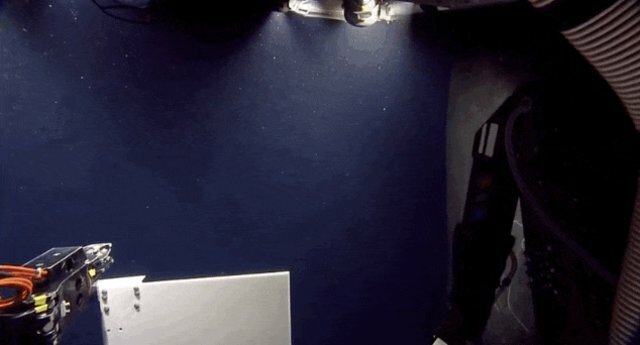 "I'm sure there will be comments like that, but he's totally real," exclaimed another utterly amazed researcher. 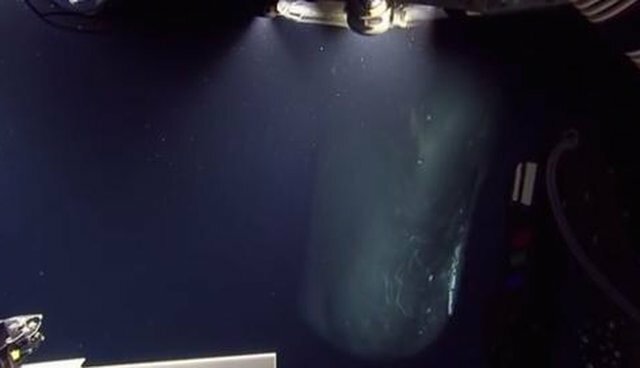 "We're going to take a supersample at all of those holes," one researcher was calmly explaining before the whale appeared. "So, if you're watching on channel 1," said another in a business-as-usual tone, "the supersampler ..."
"I'M WAVING TO THE WHALE!" 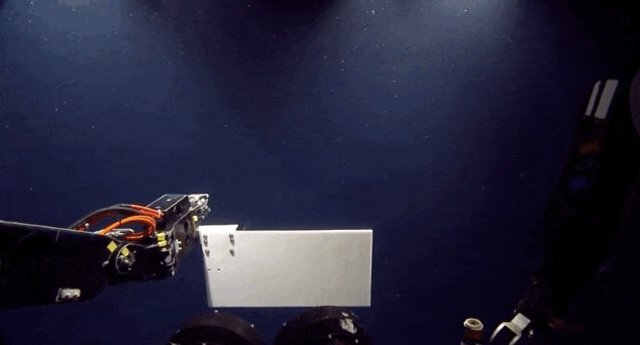 As it turns out, these scientists had every reason to be so psyched. Sperm whales dive deeper than any other mammal in the world, making them very elusive for sightings. Glimpses of the majestic whale are also rare because there are far fewer of them since commercial whaling has wreaked havoc on their population in the past two centuries. Whaling has claimed the lives of at least a million sperm whales. They're now an endangered species.